Revision of the Swedish integration policy towards immigrants in the context of the migration crisis after 2010, financed by the Polish National Science Center under the grant (OPUS 12) registration number: 2016/23 / B / HS5 / 00140. 1) literature query on the subject, published after 2010, including documents, reports and selected statements by leading European and Swedish politicians on migration and migration policies present in the EU member states, as well as countries not belonging to the EU. Primary objective: the analysis of rhetoric and argumentation supporting or denying the so-called "Open doors" policy, inviting immigrants (especially from outside the EU) to settle down in the countries of the united Europe. The analysis of the socio-political discourse, especially during the pre-election and election campaigns in Sweden in September 2018, brought a conclusion of a hardening rhetoric expressing strong criticism of the liberal immigration policy. A more rigorous and rationed immigration policy is required instead, complemented by integration policy that puts more demands on immigrants in terms of work, education, social activity (e.g. compulsory learning of the Swedish language, tradition and customs, culture, including political culture). 2) field research in Sweden, in the largest immigrant communities (cities: Malmö, Örebro, Växjö), aimed at determining the practical effects of the modified integration policy introduced in this country in the face of the 2015 migration crisis. Individual in-depth interviews were carried out with representatives of immigrant groups (mainly from outside Europe: Syria, Iraq, Turkey, Afghanistan, Nigeria), as well as municipal officials working on the implementation of the integration policy concerning areas such as: education, basic and vocational education, labor market, housing, medical care. These areas constitute pillars in the modified model of Swedish integration policy towards immigrants. The interviews were complemented by interviews and consultations conducted on-site with scientists working on the subject. 1) continuation of the field research in the cities of Stockholm, Södertälje, Göteborg (according to the scheme adopted in the first stage). 2) preparation of a series of publications in the form of articles in internationally recognized scientific journals, so as to internationalize research results, as well preparation of a series of articles in Polish to disseminate the results of research on the national/Polish level. Research project: Swedish Integration Policy Towards Immigrants, financed by the Polish Ministry of Science and Higher Education (2008 - 2010). 1. Research problem described and analysed in the book Swedish integration policy towards	immigrants, Kraków 2010. The scientific problem analysed in my book refers to immigrant integration policy, with particular focus on the case of Sweden. Immigrant integration policy - generally understood - is based on a specific modelling of the social space in which newly arrived individuals and groups of different cultures, religions or ethnicity are very welcome. Together with host society they are stimulated to develop a relationship based on a voluntary, harmonious cooperation, using effectively their potentials like knowledge, skills and experience. The intended effect of such actions is a new public space of high quality that allows each individual to develop and, to actively build a state of common wealth through cooperation with others. Sweden's integration policy is based on this [these assumptions] assumption. Belonging to highly developed countries, Sweden has for many years occupied a leading position on the human development index (HDI). As a multicultural country, Sweden, tries to reconcile needs and interests of culturally diverse communities living within Swedish society. In comparison with other multicultural and multiethnic societies, Sweden was able - as yet - to avoid dangerous tensions derived from cultural diversity. For better understanding [to better understand] the Swedish case we should look closer at the modus of integration, the institutions involved, financial inputs in promoting a positive attitude towards these activities among the host community and the immigrants themselves. Choosing the integration of immigrants as a research problem is supported by several arguments, of which of special importance is aclearly noticeable change in Polish society as no longer monoethnic, and gradually becoming multiethnic and multicultural. More and more foreigners choose our country for settlement, or as a stop over in their journey to another EU country or a country outside Europe. The assumption that in the next decade, Poland will be confronted with growing numbers of immigrants, is not incorrect or baseless. On the contrary - we might expect more and more migrants (immigrants). Thus, it is important to be prepared for such a situation, to develop methods of integrating the newcomers, to build adequate infrastructure, to establish special institutions and create financing systems for integration. Polish literature focusing on Scandinavia includes books and articles on migration, on ethnic diversity and multiculturalism. However, a closer look at these works allows to state that the problem of integration of immigrants in Nordic countries has never been undertaken profoundly. With my book I can say - until now. The book has been divided into four parts. The first part contains questions on the theory of the state and culturally diverse society, selected concepts about theory of modern state and society have been presented here, due to the fact that in a democratic regime [system] the state and society are the main actors forming together a specific model of migration- and integration policies. In this part I also give examples of a diversity of thoughts in the area of ​​political science concerning how to form a coherent, integrated society constituted [built] of culturally heterogeneous groups. In the second part of the book I describe processes of migration and integration in Europe and outside our continent. Labour migration has been embedded in a broader global context to show the specificity of contemporary migration, emerging modern migration trends and the problems arising from the interactions between host communities and incoming individuals/groups. European countries (states) try to meet this challenge, both together and separately, constructing rules for social, economic, political and religious interactions. These rules do not always give a positive effect, leading to complications and problems of various nature (the case of Arab immigrants in France, Africans in Italy and the Turkish minority in Germany, may serve here as an exemplification of the problems). In this part of the book I also gave a detailed description of Sweden as a state, regarded as an excellent example of good, effective integration practices (according to MIPEX). In my opinion, the reason for such specific state of affairs originates in actions undertaken not in the last few decades, but rather in the late nineteenth and early twentieth century when the foundations of the later welfare state had been laid. The idea of folkhemmet, explains the concept of arranging a common area, where every individual and every group despite [regardless] of their origin is treated equally and with the same respect. 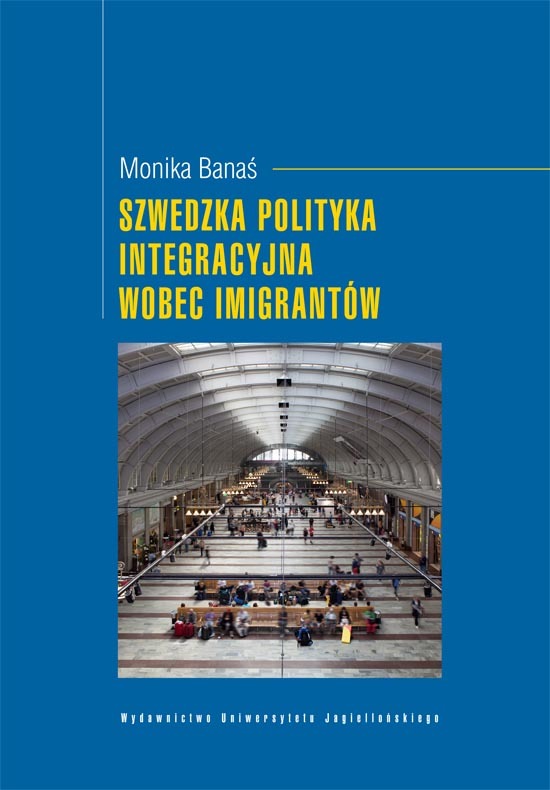 The third part of the book contains an analysis of the problems connected with Swedish migration and integration policies, actors and institutions coordinating and shaping integration processes. It describes the following areas of integration: housing, education and training, evaluation of professional competence of the labour force and health care. Given the title of the book, this is the most important part of the work, because it shows in detail the rules for implementing the objectives of integration policies as well as their effects. The fourth part contains material from empirical research I conducted in Sweden. Interviews with immigrants’ representatives, with leaders of local communities, with officials involved in integration procedures provided valuable information directly from practitioners and moderators of various integration activities. I have supplemented this knowledge with information obtained via participation in the national conference on integration policy effectiveness, held in Gothenburg in November 2009. 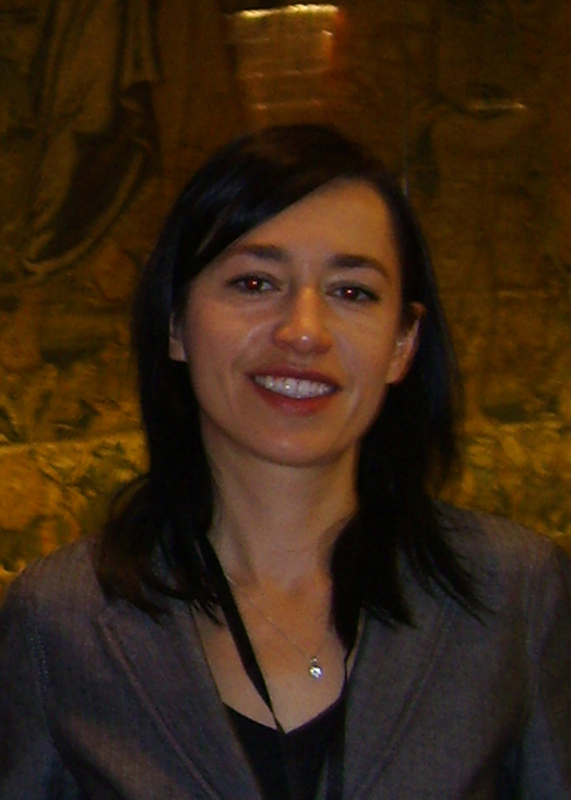 The methodology of this advanced research is based on three elements: 1) analysis of carefully selected literature on theory of migration, integration, state and society, 2) analysis of documents, government reports, reports of other institutions and NGOs involved in the integration of immigrants, 3) interviews and study-visits in four Swedish municipalities with the largest immigrant population. The full list of literature, documents and written sources has been placed in the bibliography at the end of the book. Here I give a few examples of papers and texts, which built the basis for this study and are a starting point for further, more advanced research. Andrew Geddes The Politics of Migration and Immigration in Europe, (London 2003), Robert Miles and Dietrich Tränhardt, Migration and European Integration. The Dynamics of Inclusion and Exclusion (London 1995), John Rex, The Problematic of Multi-National and Multi-Cultural Societies in "Ethnic and Social Studies" (1997), David Coleman, International Migrants in Europe: Adjustments and Integration Processes and Policies in "International Migration: Regional Processes and Responses"(United Nations Economic Commission for Europe, 1994) , Eytan Meyers, Theories of International Immigration Policies - A Comparative Analysis on "International Migration Review" (Vol. 34, no. 4/2000, ss.1245-1282), James Hollifield The Emerging Migration State in "International Migration Review" (Vol.38, No.3/2004, ss.885-912), Douglas Massey (eds.) Worlds in Motion. Understanding International Migration at the End of the Millennium (Oxford 2005) and Phillip Legrain Immigrants. Your Country Needs Them, (London 2006). The most important of the major Swedish and Nordic references are as follows: Integration - en beskrivning av läget i Sverige, Statistiska centralbyrån 2008, Integrationspolitikens resultat - på väg mot ett samlat system for uppföljning och analys vid 16 statliga myndigheter, Integrationsverkets Rapportserie 2007:05, Rapport Integration 2005, Integrationsverket Integration och jämdställdhet i Norden, Nordisk Ministerråd 2004, Invandringens velferdpolitiske konsekvenser, Nordisk Ministerråd 2005, Mangkulturalism ifrågasatt. Jämförande studie av integrationspolitiken i fem länder, Lillemor Sahlberg, Integrationsverket Rapportserie 2007: 01. The third component of the method applied is based on interviews I conducted with representatives of the institutions involved in implementation of integration policy and on visits in selected communities with high percentages of immigrants (municipalities Malmö, Södertälje, Rinkeby-Huddinge and Växjö). Especially valuable for my research were meetings and interviews with people working with immigrants on the “grass roots” level. Apart from this, I have supplemented my knowledge of Swedish integration by consulting scientists from the Universities of Malmo and Stockholm, who deal with complexities of Swedish economy& politics. Significant contribution for completing materials for this book came from my participation in the conference “Integration 2009”, which took place in Gothenburg in November 2009. The event became a forum for sharing information and experience related to integration practices and their results. More than 350 participants from different institutions (municipalities, educational institutions, public and private firms) were given the opportunity to listen and discuss about practical aspects of integration. The conference concluded with an overview on the costs, effectiveness and challenges for the Swedish state and society in terms of receiving and integrating immigrants. To sum up, the scientific problem analysed in my book refers to integration policy, with particular focus on the case of Sweden. As becomes evident from this book the Swedish integration model seems to be effective and may serve as a good example for building national programs for countries like Poland - less experienced in terms of immigration and integration.